Rarely available and generously proportioned two bedroom bungalow offered with no onward chain. The property has been extremely well cared for and is located at the end of a private cul-de-sac. Kenton Bank Foot is an ideal and sought after location with it having a wealth of local amenities on its doorstep including a retail park with superstore, schools, leisure facilities, Metro station, A1 motorway and Newcastle Airport. 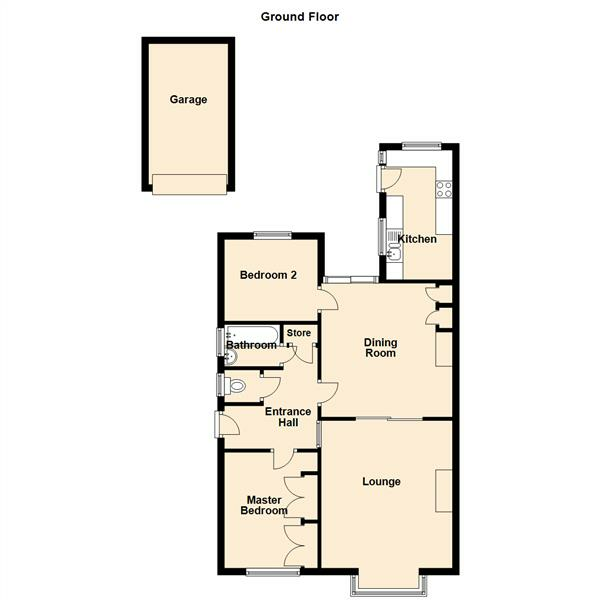 Internally the property briefly comprises:- entrance hall with storage, master bedroom with inbuilt storage, separate WC, bathroom, dining room with patio door onto the garden and lounge with bay window and feature fireplace, bedroom two and a kitchen. Externally there is a substantial driveway to the front leading to a detached garage and a private South facing garden to the rear. A great bungalow in a superb location.